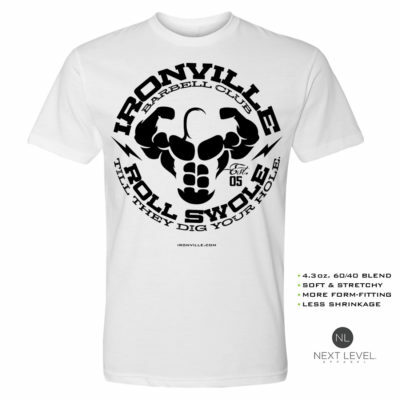 We do our best to maintain consistent sizing specifications throughout our line of gym apparel. However, the exacting standards between various manufacturers may allow for some discrepancy. Find a favorite fitting shirt and lay it out flat on a table. 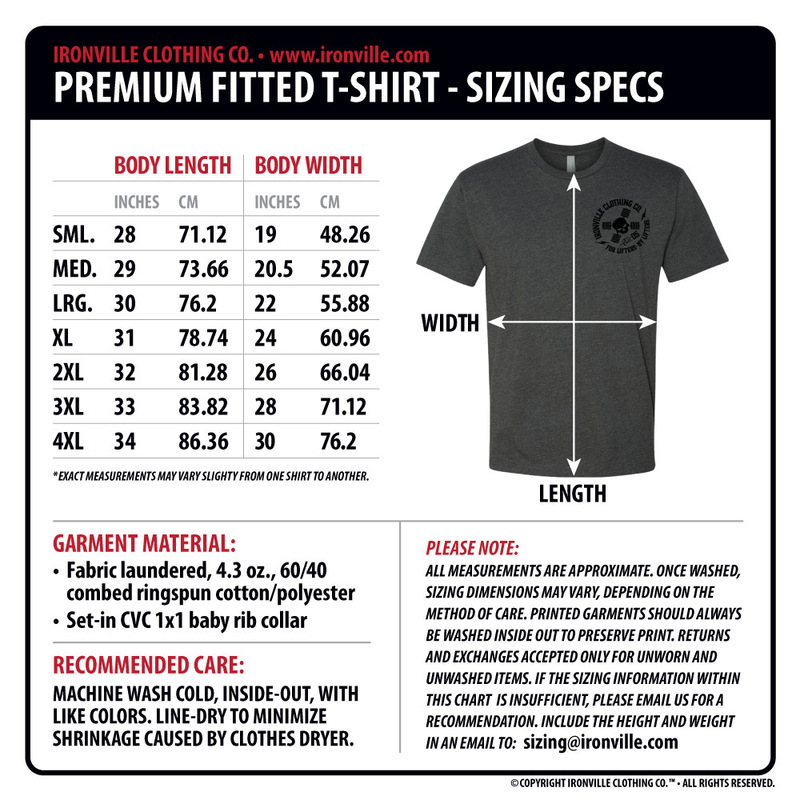 Measure the width and length compared to the sizing chart. This will help ensure you order the best size. 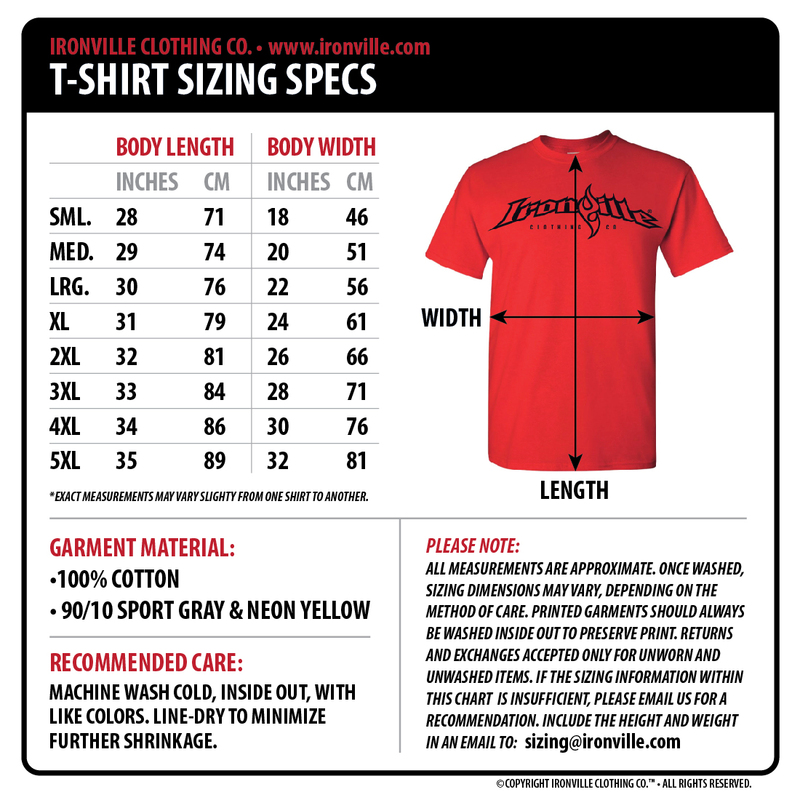 Please Note: More size charts for other garment styles coming soon.